Published: May 29, 2014 at 08:43 p.m. 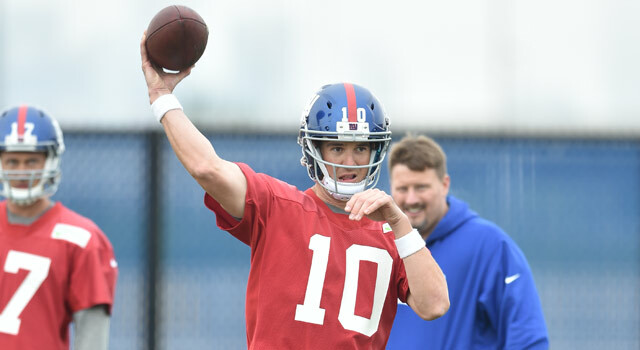 Updated: June 3, 2014 at 06:30 p.m.
Just seven weeks after undergoing ankle surgery, Eli Manning is getting into the groove of a new offense. 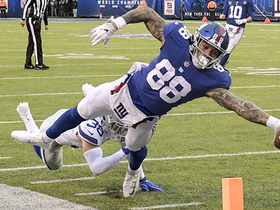 EAST RUTHERFORD, N.J. -- It was only a tiny jump pass and just a little rollout, but this is what hopefulness looks like for the New York Giants this spring. Even amid all the crossing routes at the Giants' OTA session Thursday -- and there were a lot of them, including one featuring a nifty catch in traffic by Rueben Randle -- it was easy to see that the team's greatest potential crisis has been averted, in part because Eli Manning opted for willful ignorance. When Manning's doctors told him the left ankle surgery he had after feeling discomfort during his own workouts at Duke would require a six-week recovery, they weren't very specific. Did that mean six weeks until he could run? Until he could practice? So Manning, who simply does not miss practices or games, made up the only timeline that really mattered -- his own -- and there he was, exactly seven weeks after surgery, practicing fully, which he's been doing, he revealed, for the past few weeks. 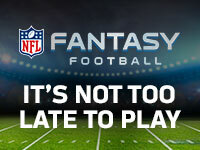 His limitations, coach Tom Coughlin said, are on paper only. The Giants are far from free of concerns. Has the offensive line -- the root of so much that went wrong for New York last season -- been successfully rebuilt? Is Jason Pierre-Paul's professed good health going to allow him to play at a high level once more? Will the lack of offseason drama -- there have been no unexplained absences this year, like there was with Hakeem Nicks last year at this time -- translate into a more serene season? Still, make no mistake: Manning's well-being, his ability to immerse himself fully in rehearsing the new offense and developing timing with his receivers -- something that Victor Cruz, who missed offseason activities last year while negotiating a contract extension, acknowledged they lacked last season -- is paramount to any hopes the Giants have of quickly rebounding from a dreadful 7-9 campaign. Yes, the faster tempo of practice instilled by new offensive coordinator Ben McAdoo has given this team a welcome jolt. But surely nothing was more energizing than watching Manning go through the rudimentary parts of the game for a second consecutive day of non-contact workouts without any swelling or pain. Coughlin and most of the rest of the organization were prepared to not have Manning available at all this spring; it would have marked the Giants' first extended time without Manning at quarterback in nearly a decade. But Manning said he knew after just three weeks that he felt good and should not have to miss OTAs. Now Coughlin is trying to slow him down, to no avail. "I always want to be out there," Manning said later. "I think this year, yeah, having a new offense made me want to be out with the team, out running plays. Just the little things, calling the play in the huddle, hearing the play call and being able to visualize it quickly. If you miss part of it, you have to figure out what it is just by knowledge of the offense. All of those things are important. It's one thing to watch it from the sideline and think you know it spot-on, but sometimes you've got to be right there at the line of scrimmage and have to make important calls and changes and checks and reads. I think it's very important for me to be out there, and I wanted to be out there as soon as possible, to get going for this offense." Manning and the Giants might have been much more conservative with his return had there not been so many changes to the roster and to the scheme. Continuity has always been important to Manning. In early 2012, just before Manning and the Giants won their second Super Bowl together, Eli's brother Peyton extolled the virtues of a lack of upheaval, noting that he and former Colts offensive coordinator Tom Moore had earned the right to remain together for years in Indianapolis, just as Eli and offensive coordinator Kevin Gilbride had in New York. "If you call good plays and it's working, they shouldn't want to fire you," Peyton Manning said then, in a story in The New York Times. 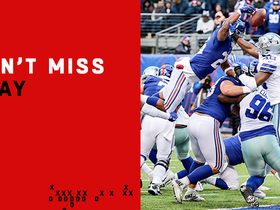 But it was no longer working for Eli and Gilbride last year -- Eli had 27 interceptions -- and Gilbride is now out of the picture, having retired from the Giants amid speculation that he might be fired after team president John Mara called the offense "broken." Gilbride had been Manning's quarterback coach before becoming the Giants' offensive coordinator -- and so McAdoo's West Coast offense is just the second Manning will learn as a pro. Coughlin called it "huge" that Manning is available during OTAs to learn the scheme, so that he will become comfortable with it by the time the team returns for training camp in July. "It's been a learning experience, learning a new offense," Manning said. "Some different timed stuff, different protections. I like everything; everything makes sense. I feel good about how these last couple days have gone. It's not perfect; there are things that need to be improved. I thought the last two days there have been some good plays. There have been some things where I felt in good rhythm with the offense and what we're trying to do. We're at the very early stages. I like where we're heading and the options that this offense gives the quarterback and the whole team to be successful." 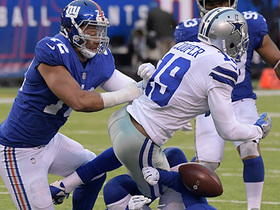 Success, of course, is relative at this time of year, as teams eye the disastrous OTA injury to Dallas Cowboys linebacker Sean Lee, who is expected to miss the season after tearing his ACL, and hope only to escape the spring without sharing such a fate. 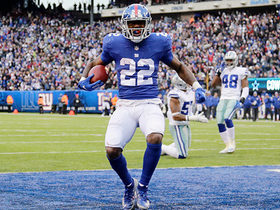 For the Giants, the first glimmers are coming on these early, cool mornings, each time their changing offense is led by their most reliable player. "It gives us a lot of confidence, especially with a guy coming off an injury and everything comes out saying that he's not going to participate," Cruz said. "But he's out there with us, not being tame, not being shortened. It's just amazing to see a guy that doesn't have to be out here, who can sit back and heal as much as he wants to, but he's out there working with us and learning the plays and learning the timing."